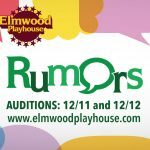 When you do, you will be kept up to date with the latest news, upcoming productions, audition dates, special events and offers from our theater. Visit Facebook at facebook.com. Login to Facebook if you are not already logged in to your Facebook account. If the button as indicated by the red box / arrow in the image below (figure A), reads “LIKE” and is GRAY, click it. 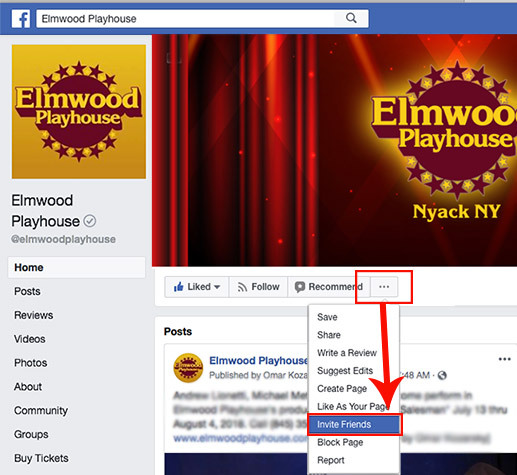 If the button area is blue and reads “LIKED”, you are already following our Facebook page. 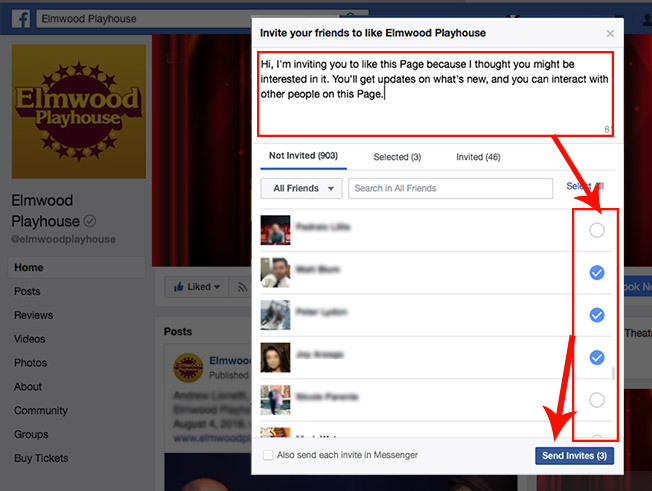 Move on to the next section below (How to invite your Facebook friends to follow Elmwood Playhouse). Next click the circle button to the right of the names belonging to the friends you wish to invite. You may need to scroll dow to see all of your Facebook friends in the list. That’s all there is to it! 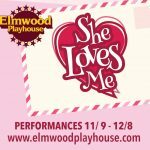 Hopefully you and your friends will continue to invite even more Facebook users to follow us and spread the word about Elmwood Playhouse !